2 China is investing hugely in the sector in the private space sector. China is investing hugely in the sector in the private space sector. 1 China is investing hugely in the sector in the private space sector. According to a recent report by Space Angels, China has gone from 0 to 3% of the world market within two years. Today, the entire sector has attracted $ 2 billion in investments. Chinese space companies have attracted around $ 69 million in investments in the third quarter, more than any other country in the same timeframe. This year, Chinese investments in the sector have reached 217 million dollars, nearly reaching the total last year investments (230 million dollars). The first Chinese investment is in 2014 with LinkSpace, but it is only with 2016 that Chinese investments in the sector have increased considerably. Of the approximately $ 16.1 billion overall investment in this sector in the world since 2009, China has about 3%, or half a billion dollars. The United States still accounts for 60% of the market, followed by Great Britain (19%), France (8%), China (3%), Singapore (2%). The ambition of these companies is to conquer the market of missile launches of small satellites. 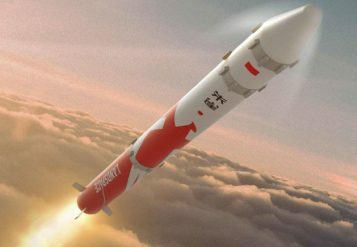 LinkSpace (翎 客 航天, Líng-kè Hángtiān) was the first Chinese private company to receive investments in 2014, but has not yet managed to launch a rocket in space. So far, a series of tests have been carried out for launches and landings on the spot. LinkSpace is based in Beijing, and is led by Hu Zhenyu. LinkSpace has built rocket prototypes with vertical flight and landing, to develop its reusable rocket technology. In September 2017, the company had built three oscillating rockets, tested in Shandong Province. LinkSpace is also planning to become a transport services company, sending not only loads in orbit, or on suborbital routes but also creating a transport service from one point to another on the ground, imitating the SpaceX model for transporting passengers with suborbital rockets all over the world with the much more evolved next generation of BFRs. 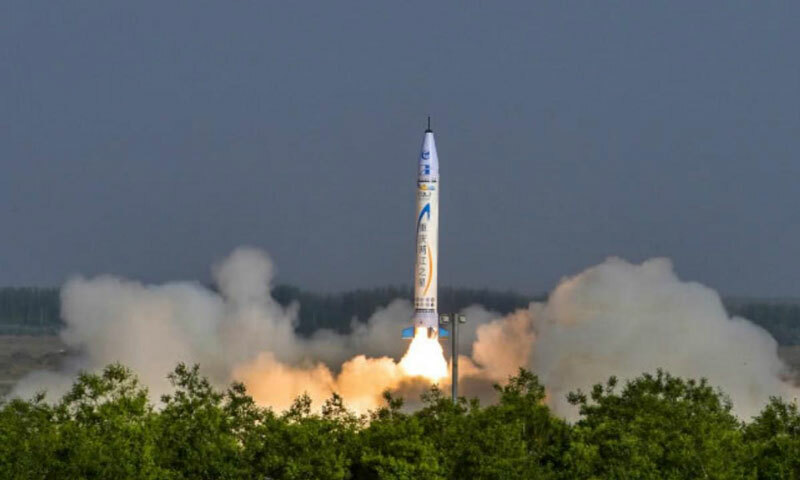 OneSpace (零 壹 空间, Líng Yī Kōngjiān, literally “Zero One Space”) was the first Chinese company to launch an orbital launch on May 17, 2018, according to the Xinhua news agency. The startup has so far raised 74 million dollars in investments. OneSpace is also based in Beijing and was founded with the support of the National Defense Science and Industry Bureau. OneSpace was founded by Shu Chang and aims to send microsatellites and nanosatellites. The first rocket started in 2018. By the end of the year, the company should present a new rocket line. iSpace (星际 荣耀, xīngjì róngyào, literally “Interstellar Glory”) performed two suborbital throws in April and August with the Hyperbola-1S rocket. On 5 September, the company managed to launch 3 small CubeSat satellites in orbit which were then parachuted to earth. iSpace is located in Beijing. By 2021 the third generation of Hyperbola rockets should be able to ship up to two tons of cargo using a reusable carrier. iSpace would also like to enter the space tourism sector. LandSpace (蓝 箭, Lán Jiàn, literally “Blue Arrow”) seems to be the most promising company. Among all the Chinese ones, it is the one that seems to have the most advanced rockets. The startup is also trying to produce a liquid engine, following the model developed by SpaceX and Blue Origin. LandSpace is expected to launch its first launch in November 2018. LandSpace is headquartered in Beijing and was founded in 2015 by Tsinghua University. In January 2017 it was the first private Chinese company in the sector to sign a launch contract with a foreign client. 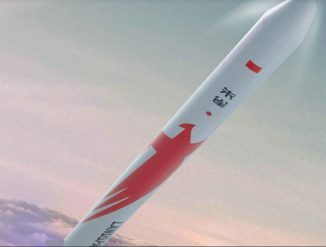 Zhuque-1 is the company’s first rocket and should make its maiden flight by the end of the year to transport a CCTV satellite into orbit and start at the Wenchuang launch station. The next generation of rockets (ZQ-2), should be powered by liquid oxygen and methane and should be able to transport up to 4 tons of cargo to 200 km from the earth, or 2 tons to 500 km. The rocket should be ready by 2020.